The role of the Project Archaeologist is to manage the archaeological process on behalf of a client at all stages of the development process. Often the functions of a Project Archaeologist are formally stated in the Code of Practice agreed between a development organisation and the state. More generally the function of the Project Archaeologist is to advise the client on all aspects of the potential cultural heritage impacts of a project from design stage, through site identification and acquisition, the planning process, environmental impact assessment and planning condition. The Project Archaeologist may prepare or assess the cultural heritage component of the Environmental Impact Statement assuring that the mitigations adhere to planning guidelines and best practice. They will liaise with the National Monuments Service and the planning authority in relation to a proposed development. Where onsite licensed geophysical or archaeological testing investigations are required the Project Archaeologist will ensure the project methodology is agreed with the National Monuments service and the planning authority where appropriate. They will manage the process of competitive fixed price tenders that includes preparing the detailed project brief, circulating this to consultants for costed proposals, advising the client on consultant selection and preparing the fixed price contracts for signatures. The Project Archaeologist will ensure that geophysics and excavation licenses are in order before submission to the licensing authority and oversee the arrangements for onsite works. They will manage the onsite work on behalf of the client and ensure the work is a carried out in accordance with the terms of the license. They will assess and certify the fieldwork reports are completed and submitted on time ensuring that they adhere to National Monuments guidelines and that the recommendations are appropriate. They will certify all invoices from the consultant archaeologist. Where planning conditions require mitigation such as the preservation by record of archaeological features or archaeological monitoring the Project Archaeologist will manage the process of competitive fixed price tenders in the same way as the pre-development investigations. 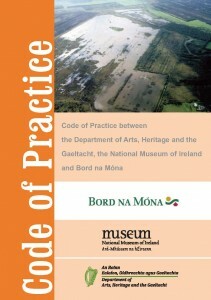 The Project Archaeologist is an important member of any development team and in Ireland Project Archaeologists are employed by a number of state and private organisations including the National Roads Authority, Bord Gais, The Irish Concrete Federation, Bord na Mona and the Railway Procurement Agency.